Qualifying weekend for the Indianapolis 500 was, as always, loaded with uncertainty. With "Bump Day" returning to the schedule, the pressure was on to make the race and unsuspecting drivers found themselves in the red. 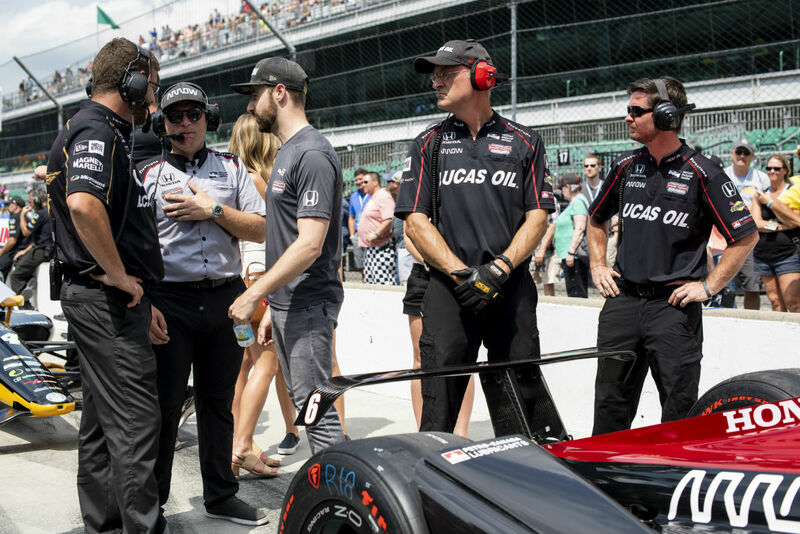 On Sunday, the excitement continued with the field re-qualifying positions 10-33, and the Fast 9 hit the track to finalize the starting grid for the 102nd running of the famed race at Indy. Bump Day displayed heaps of mixed emotions, not only for the teams but also for the fans. With Indiana native Connor Daly making three attempts at qualifying and finding himself on the bubble for much of the day, he emerged from his car in tears of relief after making the cut. Also present in the paddock was a feeling of relief—and elation—from the No. 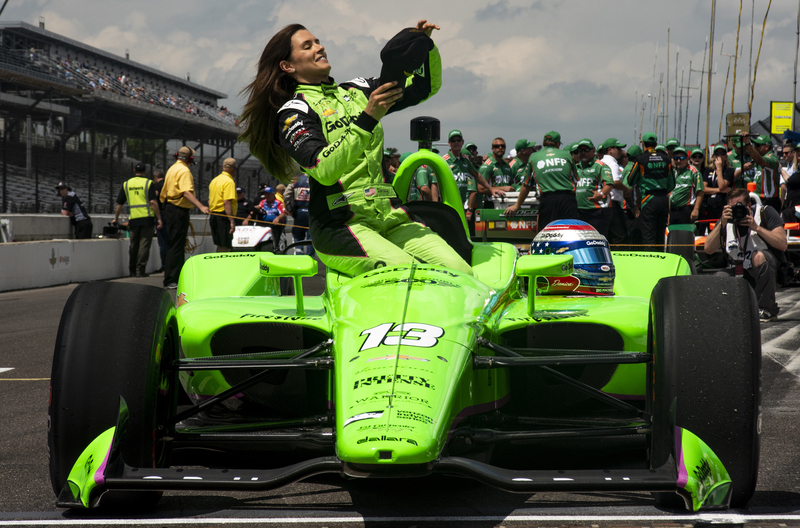 13 GoDaddy-backed team of Danica Patrick, who had just solidified a spot in the Fast 9 for Sunday after Alexander Rossi failed to do the same in his Andretti Autosport Honda. 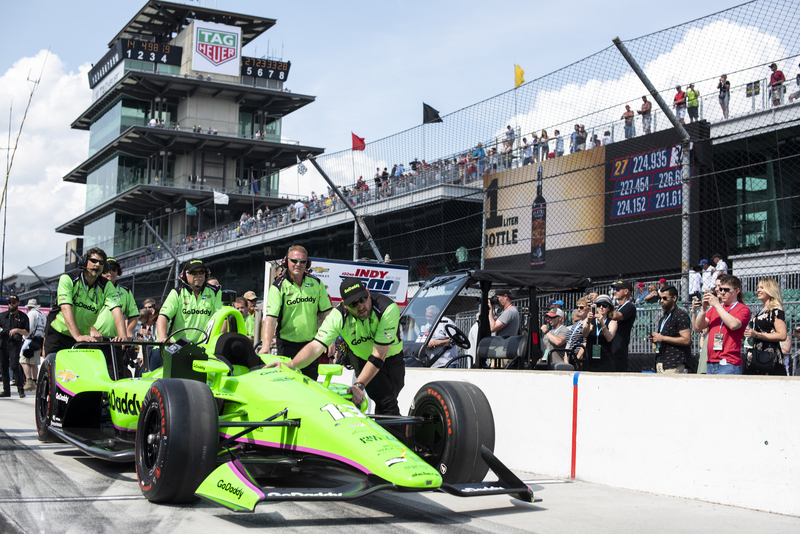 While high fives and hugs from team members surrounded Patrick, the focus rapidly shifted back to the track to see if Pippa Mann could bump James Davison from the field and if time would allow a final run by James Hinchcliffe. In stark contrast, the Mayor of Hinchtown's misfortune played out in front of the crowd as he failed to qualify in the top 33. “Indy can be a cruel mistress sometimes,” Hinchcliffe explained. "The highest of highs, the lowest of lows." Both Mann and Hinchcliffe were unable to advance, leaving the two drivers out of Sunday’s qualifying with much speculation if one or both would find an alternative to make the race. Though nothing developed by Sunday to find either driver a way to get into the field as Ryan Hunter Reay did in 2011, the weekend moved on. Hinch and Mann both made their rounds, supporting fellow drivers and friends during Sunday’s session. Throughout qualifying, Hinchliffe was out in the pits trying to make the best of his day without being behind the wheel. 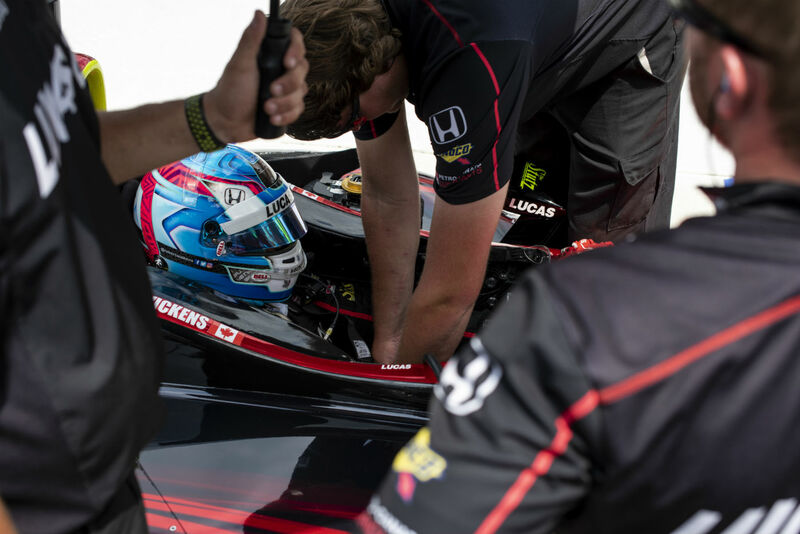 The sport's perhaps most lovable face was seen laughing with friends, talking to reporters, and supporting fellow Canadian and Schmidt Peterson-Honda teammate Robert Wickens, who qualified 18th for the Memorial Day Weekend event. Alexander Rossi was the last to roll onto the track for spots 10-33, as he was the fastest of the group on Saturday. With his first three laps being good enough to put him at the top, he fell off the pace on his final drive around the 2.5-mile circuit and wound up in 32nd position, starting beside the aforementioned Daly in 33rd. As Sunday came to a close with the Fast 9 making their runs, Patrick was the first to pull out, completing what could be the final qualifying round of her professional racing career. With a final speed of 228.090 miles per hour, she will start this weekend's race on the inside of the third row in seventh. Ahead of her is fellow Ed Carpenter Racing teammate Spencer Pigot, and in P1 is Carpenter himself who managed an average speed of 229.618 mph, earning his third Indy 500 pole. As Carpenter posted the fastest speed, the crowd's roar was typical of Indy as they applauded the hometown hero for his accomplishment. With yet another strong performance in the books, the strength of Ed Carpenter Racing at this historic track is now unquestionable. Scott Dixon wound up slightly disappointed with the slowest speed of the Fast 9, continuing Honda’s engine woes that plagued qualifying on Saturday. Opposingly, the Chevrolet-powered entrants of Team Penske dominated the final round of qualifying. The Captain's team swept starting positions two through four with Simon Pagenaud, Will Power, and Josef Newgarden having incredible runs in typical Penske fashion. While Helio Castroneves was fastest on Saturday, he will start from P8 on the third row for the upcoming 500-mile race. A weekend full of jubilation and the return of heartbreak to the Indianapolis Motor Speedway has set the tone for the race's 102nd running. Strong cars, strong teams, and strong drivers fill the field, and the Month of May is now at full throttle. The 37-year-old driver managed to top the timesheets and secure pole position for the third time at IMS.